Toyota Aygo: Where’s The X? 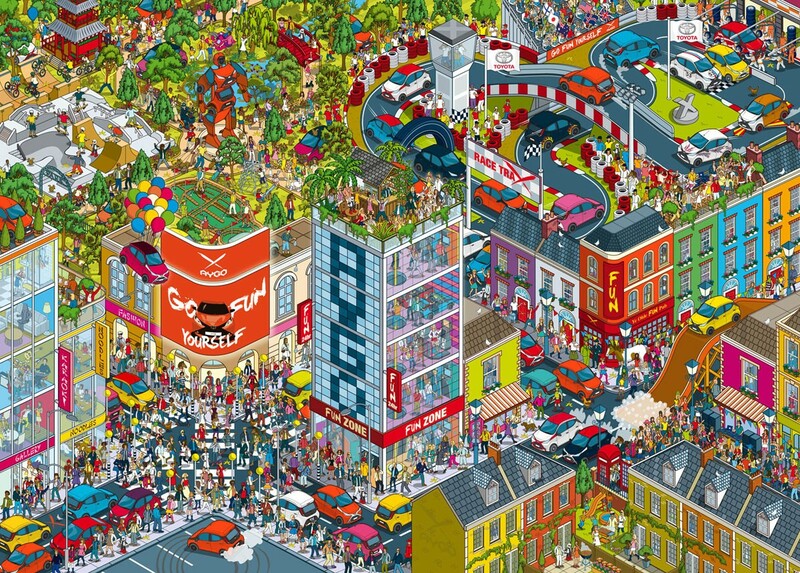 Create a huge city illustration as part of the Toyota Aygo ‘Go Fun Yourself’ campaign. The new AYGO ‘Go Fun Yourself’ campaign launched in July, promoting a new car model aiming to appeal to 25-35 year olds. As a brand, Toyota want to appeal to a younger target audience. The aim was to create a bright, buzzy, colourful & provocative image with a sense of the Japanese culture from where the car came.